It has been 4 years since that shake of the head – the one that indicated, “no”, to my husband across the room and sent him into deep sobs. The doctor never could look me in the eyes. Just a couple days shy of 8 months pregnant, I never thought this could happen to me. To us. To her. I delivered her the following morning. It would be the one and only day our daughter would physically be in our arms. After spending twelve cherished hours with her, we handed her over to the nurse for the last time, and our lifetime without her began. Initially, there was numbness—the period of time when your body is trying to protect you from reality. The world was gray and dull. Food held no taste. Even the strongest of scents were absent of any aroma. It felt as though all life and color had been drained out of the world. Then, the pain set in. Excruciating, soul shattering pain. It wasn’t only emotional, it was physical. My heart hurt in my chest. My head hurt from sobbing. My eyes burned and felt raw as scabs appeared beneath them from all the wiping of the tears. My arms ached for her. They physically throbbed because she was not there to fill them. The grief worsened as time continued on that first year, taking us further and further away from the day we had held her. In those days, I did whatever I felt I needed to survive. 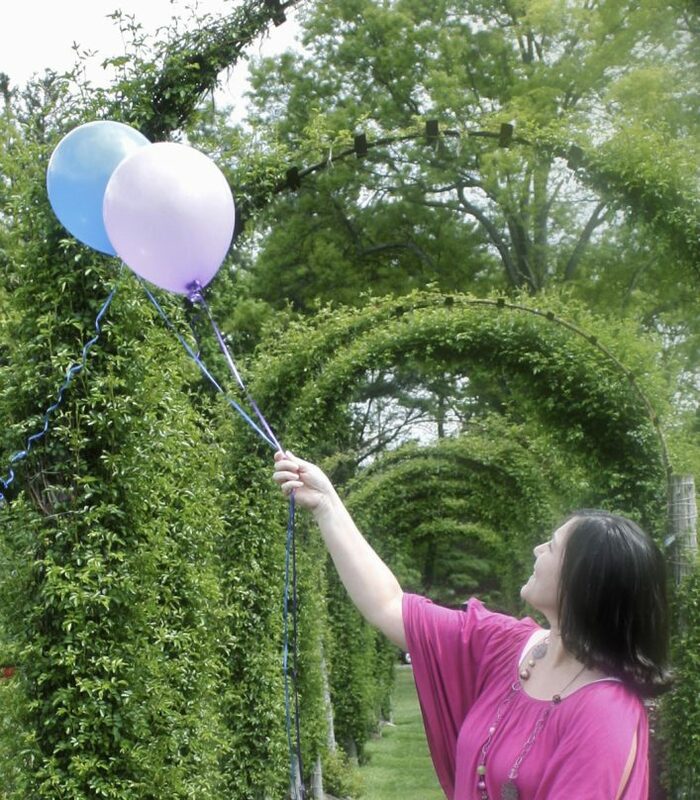 I blogged, wrote her letters, spoke with other grieving mothers, lit candles, sent balloons, spent hours at her grave, and gazed at the sky in hopes of figuring out where she went. Sometime after her second birthday, after allowing my grief to run its natural and uninterrupted course, slowly, very slowly, I could breathe again. I could taste food again. I laughed a genuine laugh. I noticed the flowers that had bloomed. I heard the birds chirping in the morning. I smelled the scent of fresh cut grass. Life returned to my world. How dare I laugh when she couldn’t? How dare I enjoy a beautiful day when she would never have that chance? Survivor’s guilt had hit and I knew I had to find a way to work through it. Experiencing the world all over again, I felt as though I was being reborn into my surroundings. I was seeing things as if for the first time. My daughter would never experience any of the world’s beauty, so I had to, for her. I took a deep breath of the summer air. I picked a flower and took the time to feel its silky petals. I watched a butterfly dance above me. I looked at these things in overwhelming amazement, witnessing a miracle in each life form. They had made it to the world and were here, alive. Getting to that place took time and required that I give attention to my grief needs. I found outlets for my pain. I found ways to honor and remember her. 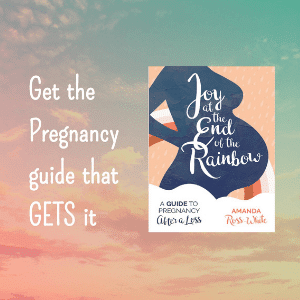 I have this online babyloss community to thank for guiding me. I found understanding here. I found comfort and support from mothers ahead of me on this path, and friendship and empathy from those walking beside me. Each of these interactions added another tiny piece to my healing, until eventually enough pieces had accumulated and I was able to find moments of peace. This community saved my life. I have learned so much in the past four years about grief. Some are lessons I wish I never had to learn, but, because I have, I am a much stronger, more compassionate, and deeply loving individual. Each and every one of our babies has a life story. A beautiful love story, held in their parent’s hearts. Each time we are gifted the chance to tell their story, to share our love for them, it is a blessing. Our babies are not too sad to talk about or acknowledge. Our childrens’ importance shall not be measured by the days spent here, wrapped up in their mommy’s womb, or in their parent’s arms. They matter. Your love for them matters. Your grief matters. Do not let others diminish your child’s worth or your pain. You have faced the unimaginable. You have said goodbye to your child. You have earned your right to grieve. Acknowledge your pain and take each emotion as it comes. One day at a time. One moment at a time, at first. Your grief is not weakness. It is love. Never be ashamed of it. Reach out to friends & family for support. If you do not find it there, continue searching. You will find it. You have already found it here. 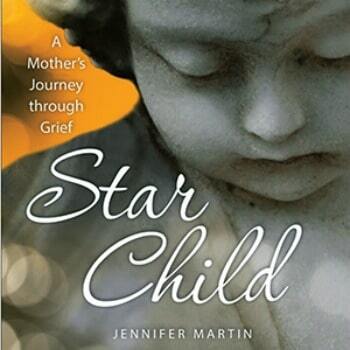 I can never tell you that you will get over your grief, because one does not get over their child’s death, but I can promise you that you will get through it. With time. In your time. Not someone else’s expected time frame for your grief. If you allow your grief its course, there can be better days ahead. You will find joy once more. Your child’s life may have been brief, but yours is still worth living. Honor their importance by knowing how important your life is. Live for them. Live for you. They would want you to. I want you to. I have been on the rollercoaster ride of grief for so long now that it feels normal. It has been four years since we said goodbye to our daughter, and although there are still some ripples of grief, and an occasional wave, those moments are so intertwined with joy, that they have become manageable somehow. I take them as they come and know that even though I am not okay in that moment, it will pass. I will get through it. I will be okay. In time, you will be okay too.